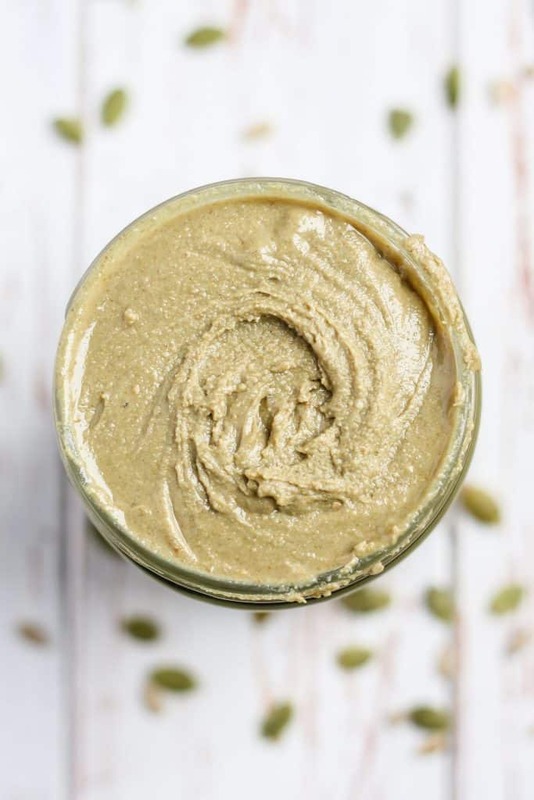 This Sunflower Pumpkin Seed Butter is nut-free, full of healthy fats, and the perfect addition to your pantry of butters. Monday! You came too soon. 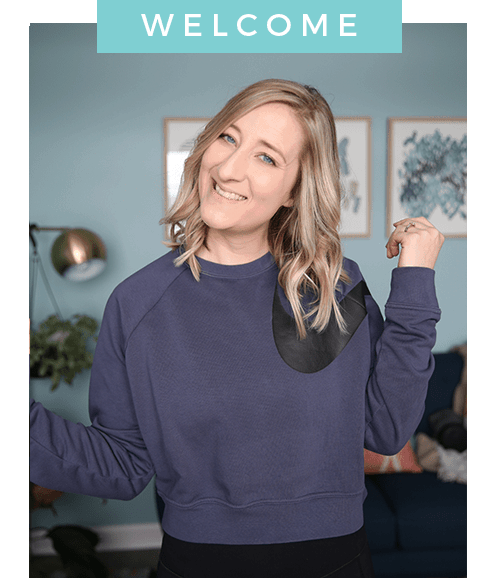 I was having a rather productive bloggity blog weekend, with the perfect balance of finishing Season 6 of Dexter (OMGGGG) and cleaning up my messy kitchen from said blogging. Didn’t QUITE get around to all the laundry I had meant to do… or clean up the spare bedroom, which we call “my bedroom”. Essentially it is just another closet for my random belongings, and more clothing. Okay, looking back I wasn’t that productive for everything I had on my list of things to do. I need another day. For those of us that work a M-F, 9-5 gig I feel this is always the case. Can’t corporate America just let people have Friday’s off for goodness sake? I promise I’ll be more productive the rest of the week ? Anyways, HI. How are you? Today’s post is rather random in that it’s not what I originally had planned today (AKA still working on that damn cookie), but it actually helped me prepare Wednesday’s post… I was running dangerously low on nut butters, and didn’t feel like running out to the store. Nor did I have enough nuts to even make my own. What I DID come across though, was two bags of sunflower seeds and some pumpkin seeds in my pantry. HOLLA ? nut-free butter here we come. 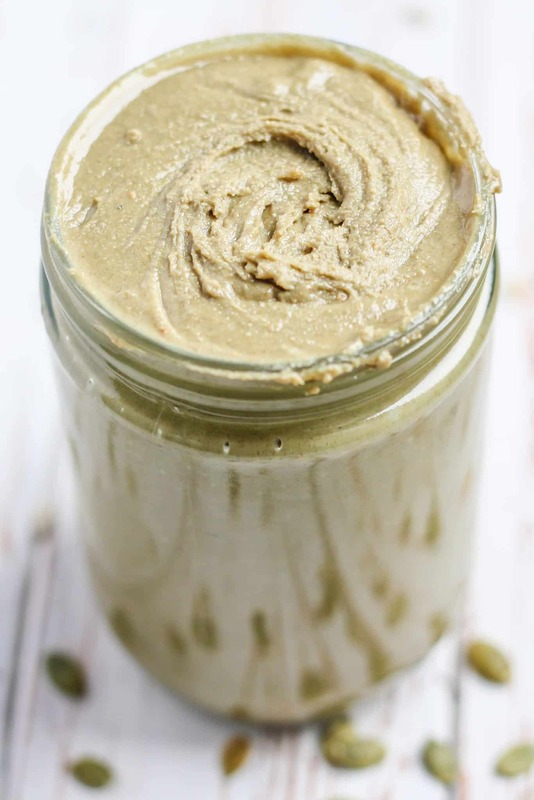 This Sunflower Pumpkin Seed Butter comes together pretty much just like my cashew butter. It takes approximately 30 minutes from start to finish. After you roast the raw seeds in the oven for about 10 minutes, you then just process and process away until smooth creamy butter forms. 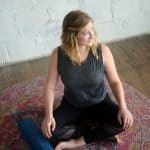 Sunflower seeds can have a slightly bitter taste to some, so I recommend adding in vanilla or almond extract. 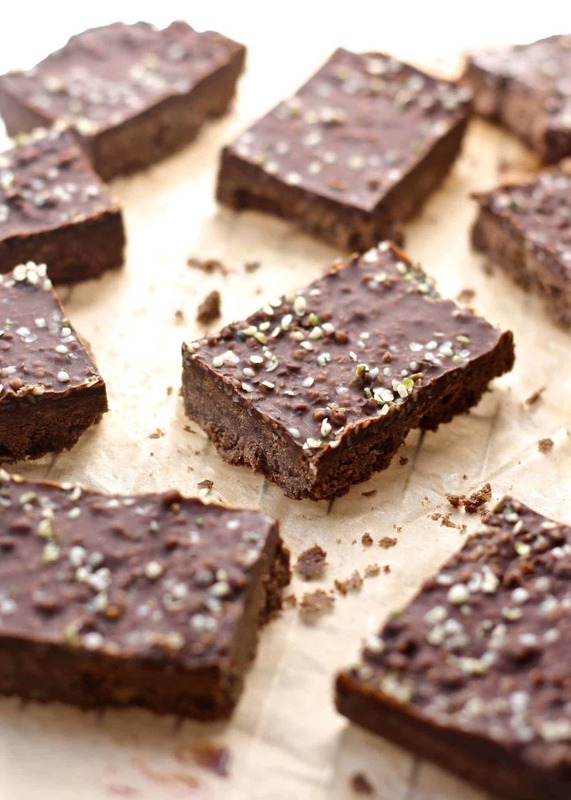 You can also add in a sweetener, such as honey, brown rice syrup, or coconut sugar as well. Sunflower and pumpkin seeds aren’t naturally sweet like cashews, so if you plan on having this plain on toast, or looking for a nut-free snack to give to kids, I would definitely recommend adding a sweetener to appease the taste buds. I opted for the coconut sugar, but I’ve added honey in my cashew butter before and it worked out just fine. Preheat oven to 325F and place seeds on large baking sheet. Spread evenly in one layer and toast for 8-10, or until lightly golden. Let seeds cool in pan for 10 minutes. Place slightly cooled seeds in bowl of food processor and cover with lid. Process for about 10 minutes, scraping down the sides of the bowl periodically if necessary. Add sweeteners here if using and process until smooth. 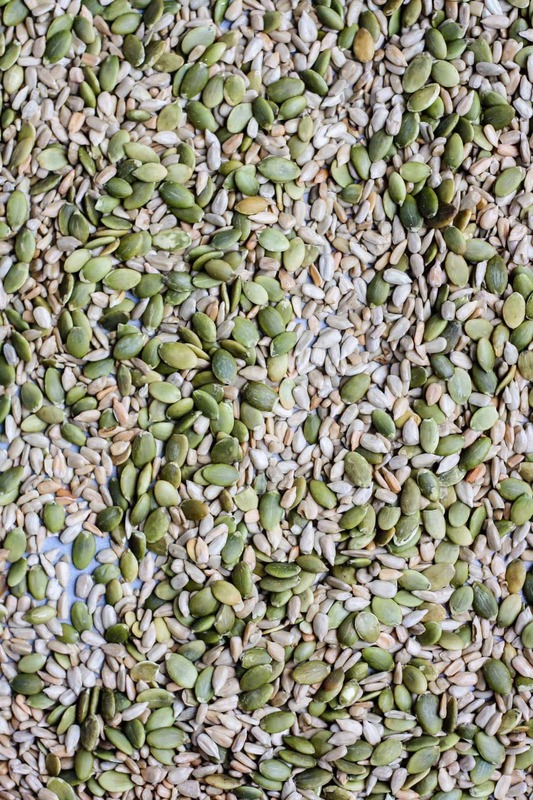 Once seeds have turned into a slightly creamy consistency, with the motor running, add 2 tsp of coconut oil and process the sunflower pumpkin seed butter for another 5 minutes, or until desired consistency. Transfer sunflower pumpkin seed butter to jar with lid. Butter can be stored in fridge or pantry. -Refer to images in post for what butter should look like at various stages. -I have a 12 cup Breville food processor, and 3.5 cups of total seeds allowed me just enough to have the blades work properly while grinding down the seeds. I wouldn’t recommend using less than 3.5 cups in a 12 cup bowl, or you may not achieve a creamy consistency in the end. Is it weird to have a butter collection (of the nut and seed variety)? I think if I could be a nut & seed butter taste tester for a living, I would. Who’s with me?! ? Have fan-freaking-tastic day, party people. On social media? Let’s stay in touch. It is definitely different (compared to the beloved cashew) but good! Thanks Rachel! I am always so overly ambitious with my days off and even if I’m productive I have always planned waaay to much so I never get it all done. Ah well. 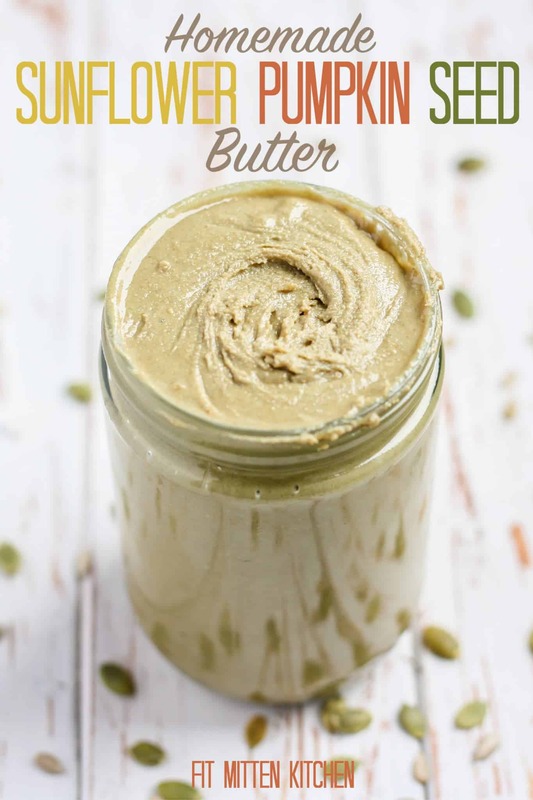 Anywhoo I love me some good seed butter and I’ve found it definitely blends quicker than almond butter fo sho. Oh man this looks awesome! Love the combo of sunflower and pumpkin seeds- so creative! NOT weird to have a collection (I’m right there with ya!). Those are my two favorite seeds so combining them would be magical (<–I have too much energy for Monday). I think most of us keep at least 4 jars of butter in the pantry at all times, for SHO. Dexter…so good! I watched the series over the summer finally, fantastic! And LOVE! 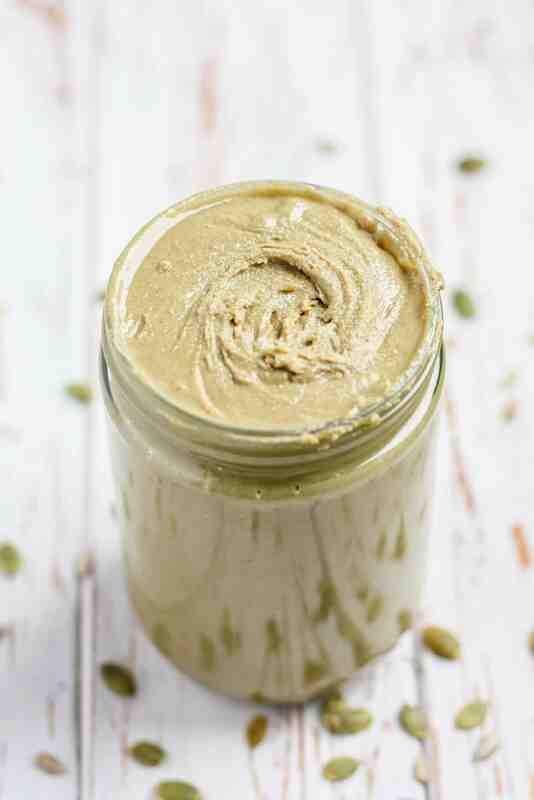 Love pumpkin seed butter and ADORE sunflower butter!! Perfect seedy combo! I have never tried sunflower butter, but I really need to get on that. Good luck with getting Corporate America on the Fridays off gig. It seems like they keep adding more hours to us rather than giving us more of our life back though. Ugh, agreed. Let’s just move to Europe! OR an island… But sunflower seed butter, I’m not going to lie, it’s no cashew butter, but it is a great alternative. Especially to use in baked goods! I could totally eat this every.single.day! There’s something about a toast with nut or seed butter that’s SO comforting. 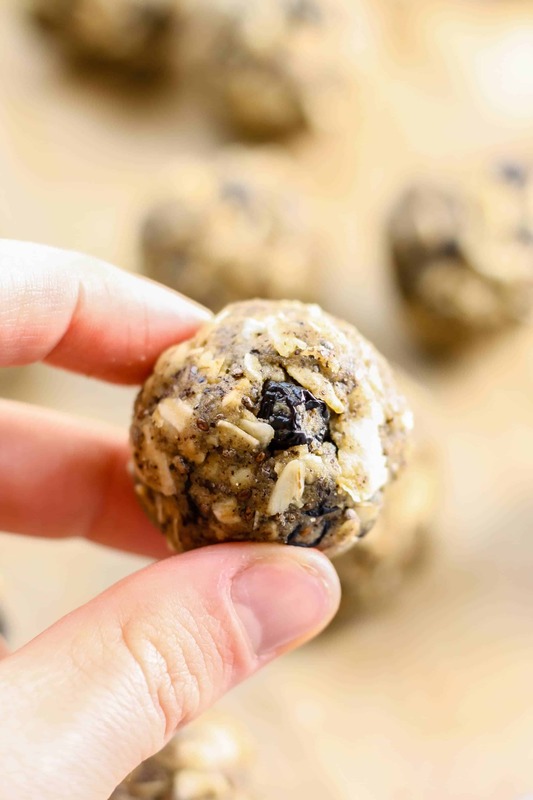 Love this nut free variation! 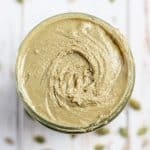 Now I’ve made my share of nutbutters, but I’ve never made a seed butter – this sounds delightful and I love the idea od adding in vanilla or almond extract and some sweetener! Thanks so much for sharing! I have a feeling they’re going to be a new favorite! Plus I have an entire bag of sunflower seeds left still 😉 Thanks, Shashi! It’s offish. 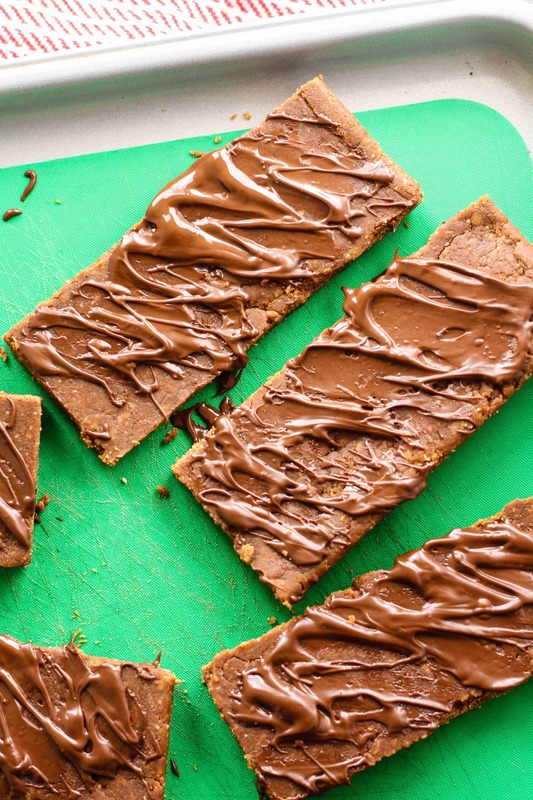 You are the nut/seed butter queen! I still need to get over myself and try making it at home…. YES DO IT! But I know what you mean, it took me FOREVER to officially get on it. I get so impatient when I make seed bitter I end up throwing in 1-2 the coconut oil within the first 2 minutes. It seems to speed the process up a lot. Dave has a tree nut allergy so I make him vanilla cinnamon sunbutter almost weekly and yes you definitely need something sweet in there. Hope your cookie recipe gets better lol. My oh myyyyy this looks like heaven! 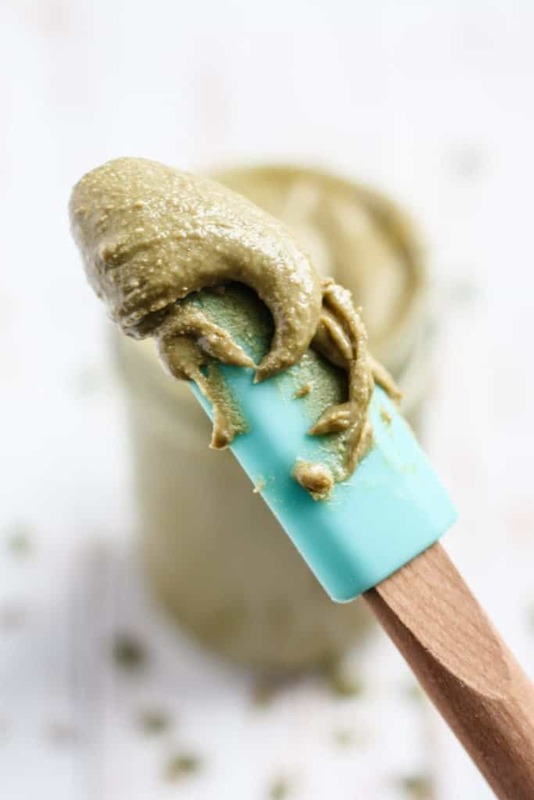 I’m a huge fan of the taste of sunflower seed butter especially to bake with since it’s less sweet and brings a totally different different element to the taste! I’ve got to make my own soon especially with pumpkin seeds! Totally agree Margaret! It does bring something different than almond or cashew butter when baking. Oh man! My fingers would never ever get out of that jar if it was near me! LOL! I LOVE SUNBUTTER. And have never thought to make my own! #duh…must try ASAP. Ummm…. yes please!! I love the pics of what it looks like at different stages. I often get discouraged when it’s not creamy enough… patience! Thanks Carly! Pictures stages are definitely helpful for the first go around making nut butter.